Instead of having a gunsmith mount your new scope, why not do it yourself? 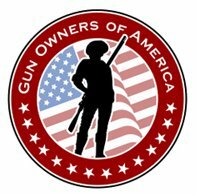 This entry was posted in 2nd Amendment, pro gun, rifle and tagged 2A, 2nd Amendment, Anti-Gun, Gun Control, Gun politics, Pro-Gun Rights, rifle scopes, Right to keep and bear arms, scope mounting, Scope mountings, scope mounts, scopes, Second Amendment to the United States Constitution. Bookmark the permalink.